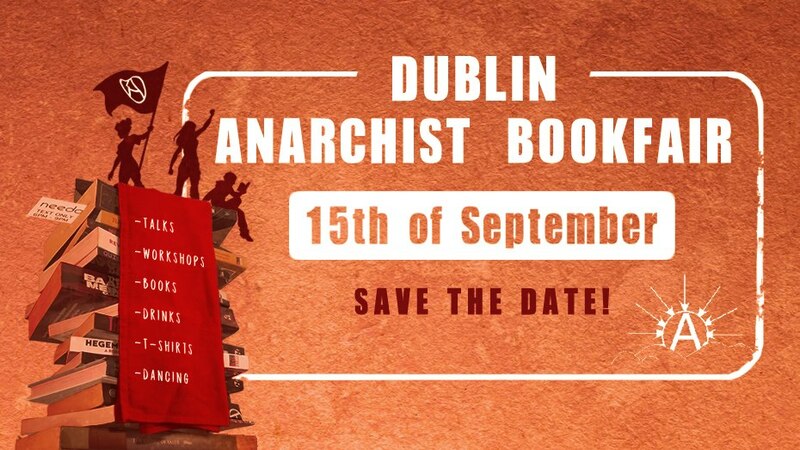 The 12th Dublin Anarchist Bookfair takes place on the 15th September 2018 at the Teachers Club 35 Parnell square. Every year hundreds of people attend the Dublin Anarchist Bookfair for a day of inspiring discussions and the opportunity of meeting lots of other radicals, browsing books and meeting campaigns. The Dublin Anarchist Bookfair is the largest regular gathering of grassroots activists and campaign groups in Ireland. We always aim to deliver a series of talks and workshops that are both interesting and useful to experienced campaigners as well as those who are totally new to thinking about politics. We also always have a wide selection of stalls & books to browse. More event details will follow. There is no admission charge DABF but donations are always welcome. Next post: International day solidarity for long-term anarchist prisoners!